The 4-volume Encyclopedia of Human Nutrition, Third Edition, is a thorough revision of the previous award-winning version and reflects the scientific advances in the field of human nutrition. It presents the latest understanding on a wide range of nutrition-related topics including food safety, weight management, vitamins, bioengineering of foods, plant based diet and raw foods among others. New articles on organic food, biofortification, nutritional labeling and the effect of religious customs on diet, among many others, reflect the dedication to currency in this revision. It not only contains the most current and thorough information available on the topic, but also contains broader cross-referencing on emerging opportunities for potential treatment and prevention of diseases. 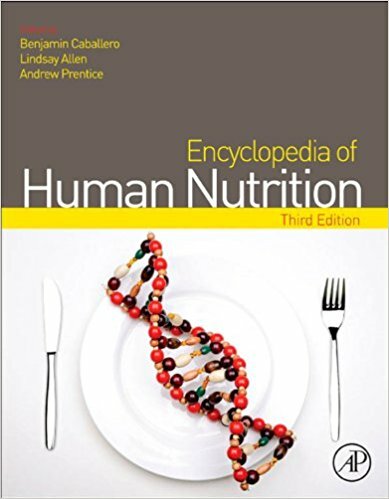 An ideal starting point for scientific research, Encyclopedia of Human Nutrition, Third Edition, continues to provide authoritative information in an accessible format, making this complex discipline available to readers at both the professional and non-professional level.